Chicago Bears win (22-20) over Oakland Raiders. Minnesota Vikings beating the spread (20-23) against the Denver Broncos. The Cardinals were 3-0, and were playing their next game at home. The Rams are not as successful on the road as they were in the past, so they were the obvious underdogs in this match. Sportsbooks gave the Cardinals (-7) point spread, and the bad news was that nine time more money was bet on them than on the Rams; parlay cards showed the same pattern, where Arizona was being favored 20 times more. 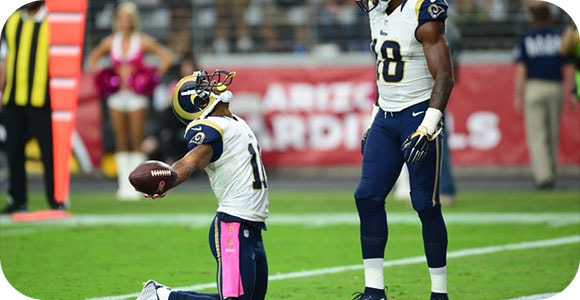 This had many sweating in fear that they could have another losing streak this week, but in the end, the Rams actually beat the Cardinals (24-22), in a huge upset. The Redskins were given a 3-point advantage over the Eagles, and many believed that they would be able to cover (-3) quite easily, which is what led many to place more bets on the Eagles being able to cover that spread. However, it turned out the opposite. They lost 23-20, which did not manage to beat the spread, as they needed to close the gap and only lose by 2 points or less. All in all, it seems that things are going back to normal, as sportsbooks start to see their win/loss ratio go back up to what it usually is during the NFL season. As fans, were hoping for more upsets, while they simply bet against the public.